All you need to get your car inspected are your keys & current registration! 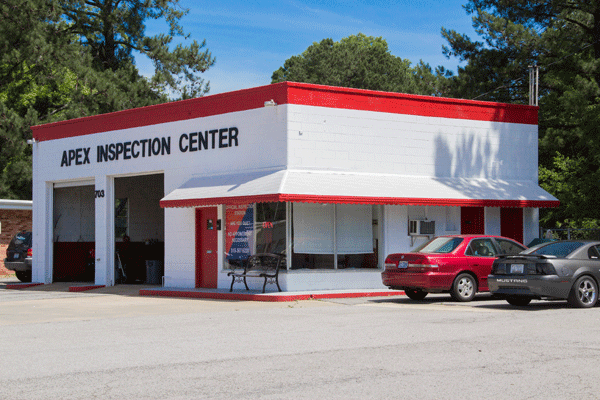 Since 2005, Apex Inspection Center has provided motorists in the Apex, NC 27502 area with the best customer service experience while getting their annual State automotive inspection and emissions tests! Our services include Inspections and Emissions and Auto Maintenance Services. Our goal is to offer the best service available to get you back on the road in no time. Excellent service and extremely fast. Usually no wait. Inspection was done in less than 10 minutes! Drove into the facility and vehicle was promptly looked into. Nathan and team did the inspection. Inspection report was explained clearly. Experience was professional and efficient. Will definitely recommend. Always an excellent experience, very friendly always greeted with a smile. Also very knowledgeable and have always been able to answer my questions! Highly recommend! Great service & no appointment necessary. I was back on the road within 15 minutes. Thorough job. Quick turn around. Solid business. Fast, friendly, and no hassle. No waiting time, no appointment required. I came to this place and asked the employee a couple of questions in order to pay my registration that it was past due. He gave me all necessary info to be aware of a couple of things. It Took around 15 minutes to get the inspection done, all these on a Saturday afternoon. When I arrived I was the second customer on line. Great place, nice people, quick service. Fast, friendly and easy. It's exactly what you need it to be. All I have to say is Wow! Okay I have more to say...you don't have to have an appt. here which I love. I was in and out in literally 15 mins. and this was with 4 people in the waiting area. Very impressed with ease of service. Awesome service and willingness to help when they can!